Hey hey, to all my faithful followers and family. This week, I thought I'd get back to teaching about the subject you are most likely here for -- to learn about what it takes to become a published author. As I read recently written novels, most unpublished, I'm still seeing what I railed on earlier in this series, that being about the lack of capturing the reader's attention early on in the book. I see a lot of back story and setting descriptions that are, may I say BOOOORRRRIIIINNNNGGGG. That is tantamont to telling the reader to give up now before it gets worse. I mean how do you expect a person to keep reading if you turn them off in the first page or two? Rule of thumb, your opening paragraph should plunge your POV character into some kind of terrible trouble in the first paragraph or first sentence, if possible. That doesn't necessarily mean a life or death situation. It could be some other kind of trouble. If you have ever read "Little Women" by Louisa May Alcott you'll find the girls' terrible trouble was that Christmas was coming and their father was away from home with the Union Army during the Civil War, and they had no money for gifts for their mother let along to each other. A heart wrenching scenario. 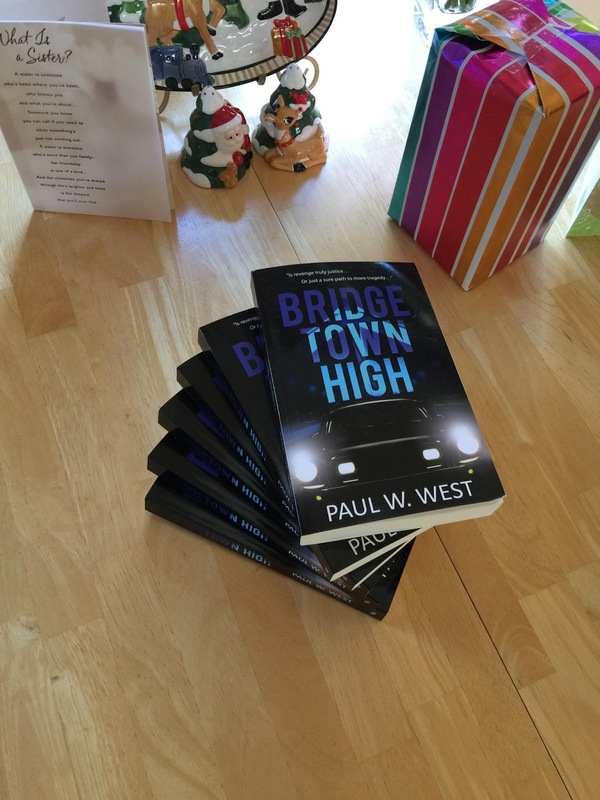 When I wrote my novel, "Bridgetown High," I went through several opening scenes before settling on the one I finally chose where my POV and MC character, Mark, was bemoaning the deaths of his parents and kid sister, who all died in a fiery crash on the Carquinez Bridge in Northern California. To make matters worse, though he was in the crash, he doesn't remember it, but nevertheless he vows to find the hit-and-run driver who caused the accident. From the first terrible trouble, the novel or story builds from that, scene by scene until the climax at the end. Does your story start and build like that? If not, you might want to take a closer look at it. Nothing turns a reader off like a milk toast opening of setting descriptions and back story. Get the story going first, then you can add that stuff between the lines and the story develops. Good luck with it and if you need some help, feel free to email me at paulwwest@yahoo.com or find me on FaceBook. In case I don't get back to you until after New Years, I wish you wonderful holidays. Keep in mind, my novel would make a wonderful gift for teens and baby boomers alike. Just click on this https://www.amazon.com/dp/1680583093 and it will take you to my book's Amazon page. I hope you're all hanging in with me -- just want you to know I'm still alive, ha ha. I know it's been a couple of weeks since my last post, but with Christmas and New Years coming on, time to write has had to take a back seat to writing (unfortunately). I thought today, I would talk (write) about what motivates me to write. Maybe some of my experiences will resonate with your experiences. Those who know me know that I'm a hopeless romantic. When I was a Freshman in high school (John Swett High in Crockett, California), my English teacher told us we had to write something creative during the first 10 to 15 minutes of the class time. At first I thought it was a pain in the ... but once I got into it I hated to quit when the time was up. Later, when I was a Senior in high school my English teacher (not the same one) could tell that I loved writing about the history of my home town (Port Costa, California). I collected tons of historical facts and started putting them into a large manuscript (that never got published). I even kept working on it when I got into junior college (Diablo Valley College). After high school, I went to work in the C&H Sugar Mill for the summer, awaiting the fall when I could go back to school. The job was boring and I began day dreaming about a girl I liked (but never dated, well she had a boyfriend). I found that boredom helped me realize that it was a blessing if I could utilize it. So, I would make up scenarios about how I would ask her out, dates we would go, our first kiss, etc. Then the Vietnam War forced me into the Air Force and I had to quit writing for a while (several years). Years later, I had a job where I had to write reports for my day job and realized I could write fiction during my lunch breaks. So, I began work on what is now titled "Bridgetown High" (go ahead and click on the link, or cut and paste it into your search box). At first I had to write it long-hand, but eventually I bought a computer and the rest is history. I still write during my lunch breaks (can't wait for retirement). I love writing, and I'm hoping to finish the sequel to Bridgetown High soon. Then, I have two other books I'm anxious to finish as soon as I can. So, in case I don't get back to you in the next 2 or 3 weeks, I hope you all will have a wonderful Christmas season, and remember the reason for the season (Jesus the Christ). And wouldn't this make a great Christmas gift for Baby Boomers and Young Adults alike?